I have missed being here and missed you all. I hope you all had an awesome holiday. Some of you are still flexing somewhere and I envy you. Bring back chin-chin for us oo. So erm…first of all, my Christmas was half-lit, half messed up. On the 28th, I got up and couldn’t move. My waist was on fire and I have been bedridden until then. Even as I type this, I still can’t sit up for more than five minutes or so. Awful pain. If you are passing by my house when my husband is trying to get me to stand straight, you’d think he’s beating me. Yes, the pain is so bad I cry like a baby. But hey, forget all that. God has healed me and I can’t shout. I am fine. Let’s talk about 2016. For almost everyone in Nigeria, it was an awful year. Emphasis on almost everyone. I know some of you didn’t even feel the crunch. If you didn’t, say ‘aye!’ Well, for the rest of us normal humans, it was tough. But God was faithful. The year was good for me, in terms of my books. The Fourth Finger soared to heights I never imagined. And not only did it soar, it made my other books sell. This was the year of doors opening for me. Out of the top selling 25 books on Okadabooks, six of my books made it. Of the ten selling books, four of them were there. Of the 6 bestselling authors, I was number 2. What can I say? God loves me. All my years of hard work have started finally paying off. But you guys know I didn’t do it alone. I wouldn’t have been anything without you. Your shares, likes, comments, emails, and money took me there. How can I thank you enough? You remain part of my growth. I am immensely grateful to you. I have my weakness, mostly in my health, but it all goes away when I step on this blog and I know you’re on the other end, reading and loving what I write. And guess what…we’ve only just begun! So, thank you so much. So, so much. I love you – always. Please, visit this link and drop a comment. I would appreciate it. I also want to thank everyone who sent something to my friend, Immaculate, to help care for her ailing mother. She sends her thanks as well. God bless you all. I will be back with It’s Another Novocaine Saturday on Saturday. You don’t want to miss it. It will shock you to the bones. But for today, enjoy The Darker Berry which will come up shortly. All kudos to Tomi. She held the fort when I couldn’t move a muscle. I love her like kilode. Have a wonderful new year. May God answer all your prayers and make your dreams come true. May he open doors for you as he has done for me. May he protect and provide for you. May you not know any loss or tragedy. I just love you Sally….shey you know? You have an innate way of connecting to people through your writing. Happy new year,Sally. I really missed your stories. May your healing be permanent in Jesus name,Amen. God bless you and your family. Happy new year to the author who made me love Nigerian stories. You’re wonderful! No more sickness for you in 2017, remain healthy! 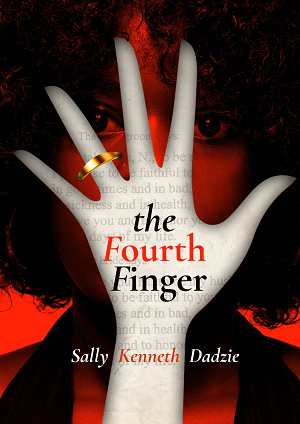 happy New year sally..your books are awesome..especially the fourth finger…learnt alot through it.am greatful..God will perfect everything dat concerns you and your family.dis year you shall soar like the eagle cuz your case is different..cheers! Sally I am so sorry about the health challenges you experienced last year. God heals permanently and in Jesus name, it is done. About your friend, I tried sending something but I doubt it went through. I will still do something for her once I am ‘gallant’. Sally you make me believe in what I do. I brag about you to my friends like I have met you, I have successfully initiated some of them to become Moskedapages addicts (hehehehe) and I know this is just the beginning for you. Thank you for staying true. Blessing upon you and your family and yes, may my Jide/James locate me this year. Come to think of it, between Jide and James who will I choose sef? Amen………i believe and i receive…falls down yakata under the anointing. I pray God perfects everything concerning your health this year in Jesus’ name, amen. I also pray you enter into a higher place of prosperity with your books by God’s grace. I love you too much. I choose James by the way. Lots of love. Pls try to take a lot of rest and your medications too. We will be waiting. You truly deserved topping the chart list sis, really your books always wow me. And yes, 2016 is just the beginning for all of us… In shaa Allah, ameen. We appreciate what you do and will continue to encourage n support moskedapages. Lots and lots of love for changing and affecting lives possitively through your works. 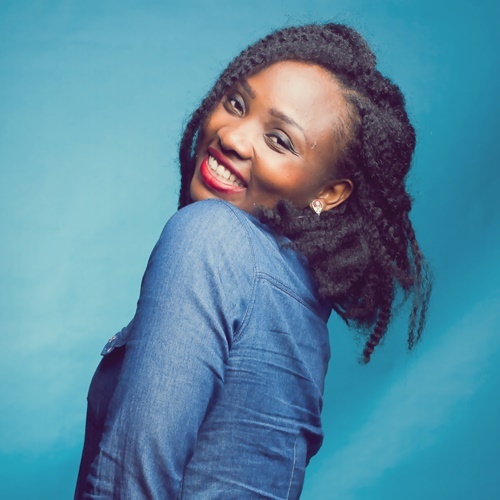 You missed out kyenpia n butterbabe, wura n mymood….yeah, we love them all. Warm regards to kay’ bobo n your Mr romantic?? Awwwwww, this is so sweet! Thanks for been you, thanks for not given in to sickness. May God continue to strength you, may he sent word of healing to your bone, blood, marrow and flesh. Your source of inspiration will not run dry, more ink to your pen….loads of love to you and yours. Have a fulfilling 2017! May you continue to enjoy the healing power of God. May he fill you up with fresh ideas. Have a great year. Happy New Year Sally! Trust you are fine now. Pele. Thanks for making 2016 a memorable one with your write up. Please keep soaring higher, God is with you. By his stripes you are healed and it shall be permanent, affliction shall not rise a second time in Jesus name . Thank you for making 2016 fun. This year shall make all your dreams come true and your needs shall be met. Looking forward to this year with you. You are simply amazing, imagine all you are going through health wise and you still have time and zeal to help someone else. 2016 was a good year for you but I pray 2017 be more explosive and amazing that it will blow your mind beyond your imaginations not just career/ blog wise but emotionally, mentally, maritally, family and most importantly health wise . You will enjoy divine health and your path will continually shine brighter and brighter in Jesus name,amen. I am always wowed by your stories, first time I came here I spent a whole day reading most of the stories here. I just couldn’t stop reading, it was like seeing a light in very dark tunnel. But most importantly, your committment and consistency amazes me. No matter the challenge you encounter, you still find time to write. That is just remarkable and I do not take that for granted, you’re greatly appreciated Sally, moskedapages was one of the highpoints of 2016 for me, I am forever grateful to God for that. And by His stripes you have been healed, strength is made available unto you. I have never said this before but I do love you Sally and looking forward to a flourishing year 2017. Amennnnnnmmm….happy new year sally I lofe u well well.it’s well with you. Happy new year Sally. My wish for you this year is that you grow exceedingly in all areas as you desire; that you find rest, peace and comfort; that you live in perfect health and prosper exceedingly. Your works have a reach greater than your imagination. Good to hear from you Sally! Nah, there’s absolutely no room for ailment of any sort in your body…U are healed already in Jesus name. Congratulations on those achievements, much more on the way by God’s grace. I tap into that prayer of meeting my Jide this year and soon too. Keep being you dear, you inspire me a whole lot. Love ya. Hello Sally, Happy New Year. Yes o, God has healed you and the devil has been put to shame. With being so busy at work, I hardly have time to read but there’s always this joy brewing that when I have d time, I will have loads to read. Loving The old stories, scared to start darker berry n Omole campus b4 I get addicted n can’t focus at work with my pending read ups *lol*. Welcome to the beginning of the best years of your life yet. 2016 was just the thriller. With Love from Me to You. xoxoxo. Sally thank you so much for writing. I followed you here from 360nobs. Your stories have being great company throughout the years. I absolutely love how you do what you do. The greatest healer will perfect your healing in Jesus’ name. Amen. Amen! God’s healing hands will roam all over you and make your healing permanent! I love you dearly! The Joy of the Lord is your strength. ? Happy New Year dearie. By His stripes you are healed ijn. Have a fruitful 2016 cheers! Sorry hun, a fruitful 2017 I meant to say. The Lord will perfect everything that has to do with your health this year, it is well. Have a blessed and glorious 2017. God will heal you Sal. Try not to overwork yourself physical. 2017 shall be a year of healthy testimonies for you and yours. Bless your husband for his unwavering support. Amen! i claim the prayers with faith that it shall come to pass….. Sally you are healed in Jesus name, your healing is permanent in Jesus name….. i love you Sally you are the best, and pray for greater 2017 for us all Amen! Happy New Year to you!